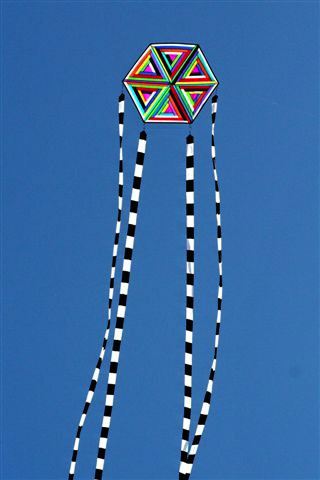 Description: You will be making a flat hexagon kite from 2” strips of scrap material or new material. Learn the log cabin technique in a triangle shape. Sew 6 equalateral triangles into a hexagon shape. Students will supply their own fabric. You will bring cut fabric to class with you. 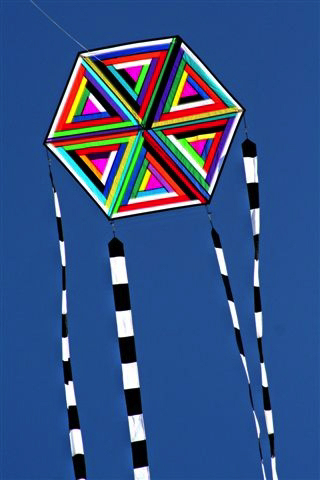 You will also learn how to make the tails for this kite that you can make at home. What to bring: Sewing machine and notions, cutting mat, straight edge, hot knife and cutting surface.